Since my move to Umeå, Sweden at the beginning of the month I have developed a close relationship with the city’s bus system. Although I have used public transportation many times before, especially when traveling, relying on it exclusively for getting around in my daily life is a new experience for me as I am also getting used to living in a new city and country. One of the nice things about the bus system in Umeå is that the buses have free wifi. This was especially nice during my first few days here when I did not yet have internet access at home; I got used to pulling out my iPhone or iPad as soon as I sat down, and using the few minutes of internet access I had during the trip to catch up on email and Facebook activity. My iDevices now often automatically begin to join the bus wifi networks, because I have been on them before. As my usual bus route has started to feel familiar (I now know where I need to get off to go to work or home even when the ‘next stop’ display isn’t working! 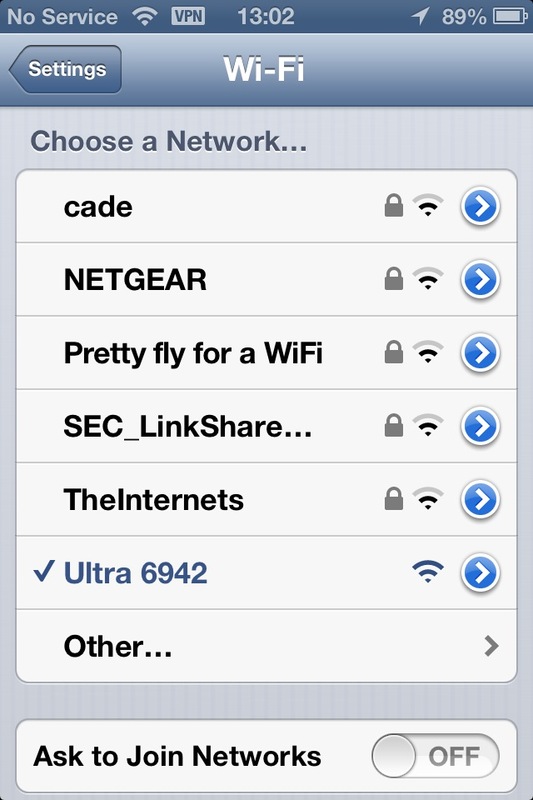 ), my iDevices also recognize these wifi networks as familiar. I have begun to recognize the bus numbers by which the networks are identified, and in noticing these different numbers I have also noticed the small differences between the physical buses and their configurations. The bus is not just a generic one of many in the city’s fleet, but Ultra 6942, one I have been on before. My experience of the physical environment has been mediated by my experience of the digital one. When I took the screen shot for this blog post today I was in the main student area in town (Ålidhem), where there were also several other cleverly-named networks available (“Pretty fly for a WiFi” might be the best wifi name ever). These network names are performative as well as functional, and they make visible something about the people who live in a place and contribute to its character. So my iDevices and I are settling in, and getting to know Umeå in part through its hybrid digital/physical infrastructures.